Way to go, Timmy. That’s the spirit. “Private gains can no longer be supported by the umbrella of public protection, capital standards must be higher and excessive risk-taking must be appropriately restrained,” Geithner said in testimony prepared for the House Financial Services Committee that was obtained today by Bloomberg News. The hearing is scheduled for tomorrow at 10 a.m. in Washington. 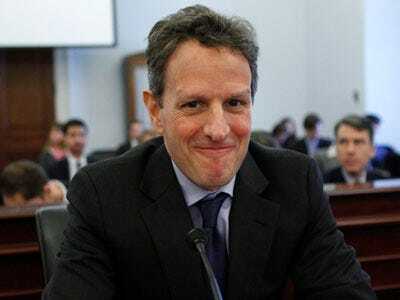 Geithner said the Treasury Department and the Department of Housing and Urban Development will issue a request for comment by April 15 on how to overhaul the U.S. housing-finance system and its regulatory structure. The government needs to make sure there is “no ambiguity over the status or allowable activities of any private entity which enjoys any benefits or protections from the government,” he said. Unfortunately, he’s going to be extra-careful, and promise everyone that the administration isn’t about to pull the rug out from under reform or undermine the housing market. Still, getting rid of the publicly traded stock — the fiction that these are private entities — would not be a bad first step.